Since 1941 Cornell Engineering has been a precision manufacturer of stamped and fabricated metal goods. As an OEM and after-market supplier, with over 60 years of experience, we service the appliance, commercial-sound and home-audio industries in both Canada and abroad. We have a wide range of design and manufacturing capabilities that can accommodate customized short-run orders to high-volume production. Part finishing options include powder-coating, plating and porcelain. As well, we offer custom assembly, packaging and stocking programs. 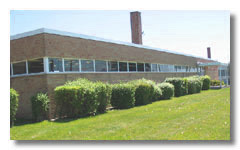 Our 25,000 square foot manufacturing facility, warehouse and offices are centrally located in Toronto, Ontario. 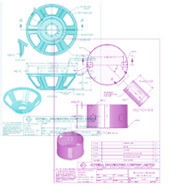 Cornell Engineering is committed to producing high-quality products at competitive prices with excellent service. © 2005 Cornell Engineering Co. All rights reserved.